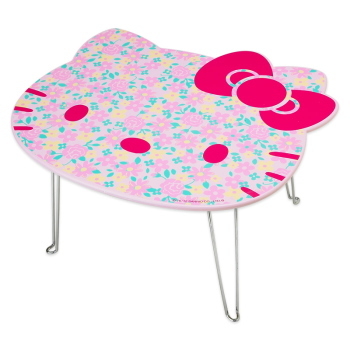 Table with the shape of Hello Kitty’s face has been a big hit here with 10 thousand tables being sold. Who could resist the charm of kitty? This time round, kitty was made even cuter. Her entire face is covered with lovely flower prints! The price is 3,990yen. Check it out on Sanrio’s site if you are interested.